Elastomeric keypads manufactured with dual durometer keys are made with the top portion or the key molded in a very hard durometer and then molded to the lower flexing portion of the key. The hard durometer silicone rubber molded key top of the custom keypads is used to simulate plastic. This is a popular feature because it allows for a plastic feel while avoiding the cost associated with plastic molds. 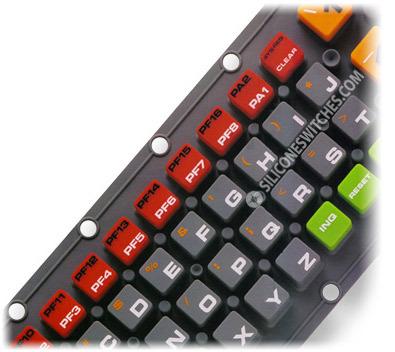 Northpoint Technologies has expertise in the design and manufacture of these and many other types of silicone rubber keypads and silicone switches.